Here's a quiz of 50 unique money types from around the world. 1. 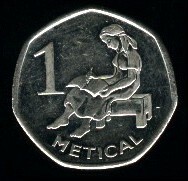 Where might you find 1 Metical?